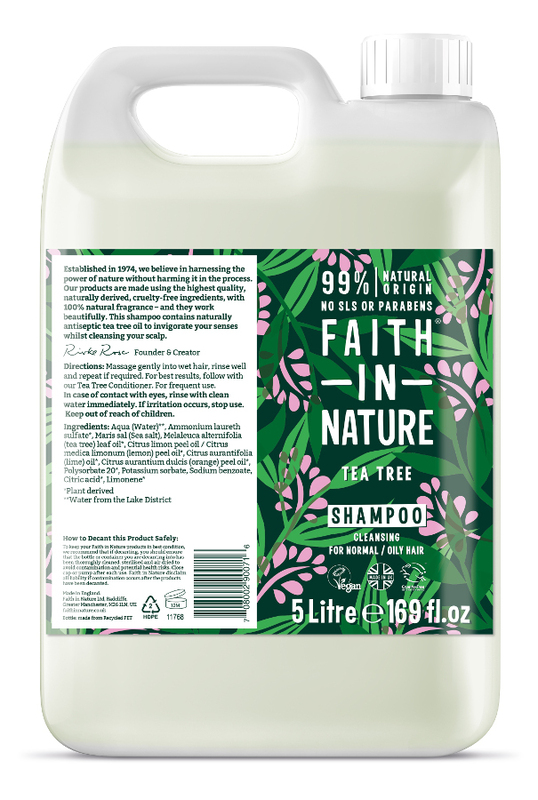 This aromatic Tea Tree Shampoo from Faith in Nature uses tea tree oil combined with orange and lime oils for their fresh subtle fragrances. 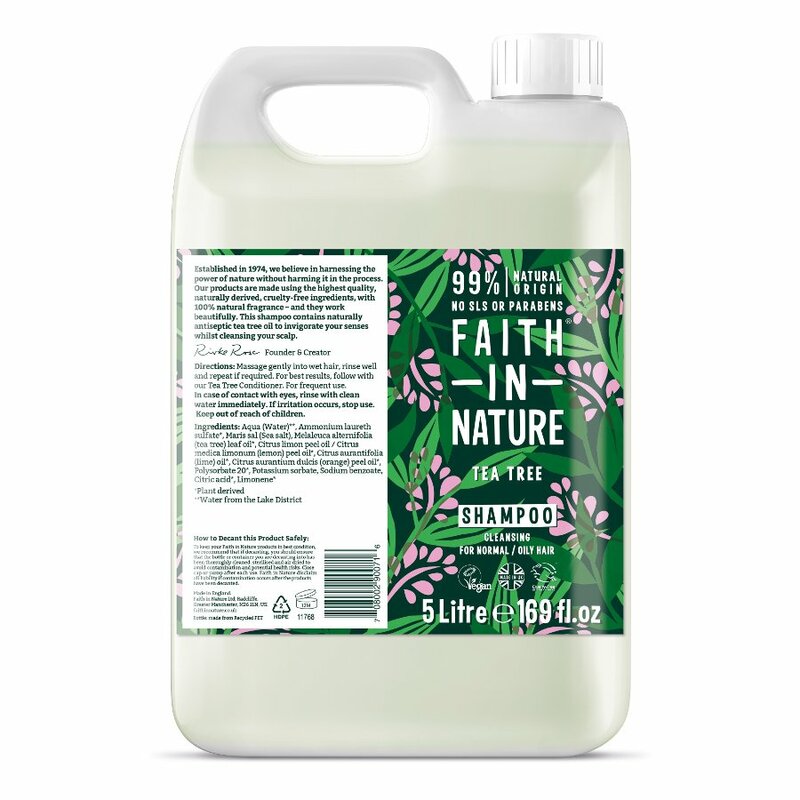 Due to tea trees natural anti-bacterial antiseptic and anti-fungal qualities it has the ability to deeply cleanse oily or troubled hair removing bacteria fighting the effects of grease and pollution as well as being a powerful immuno-stimulant. 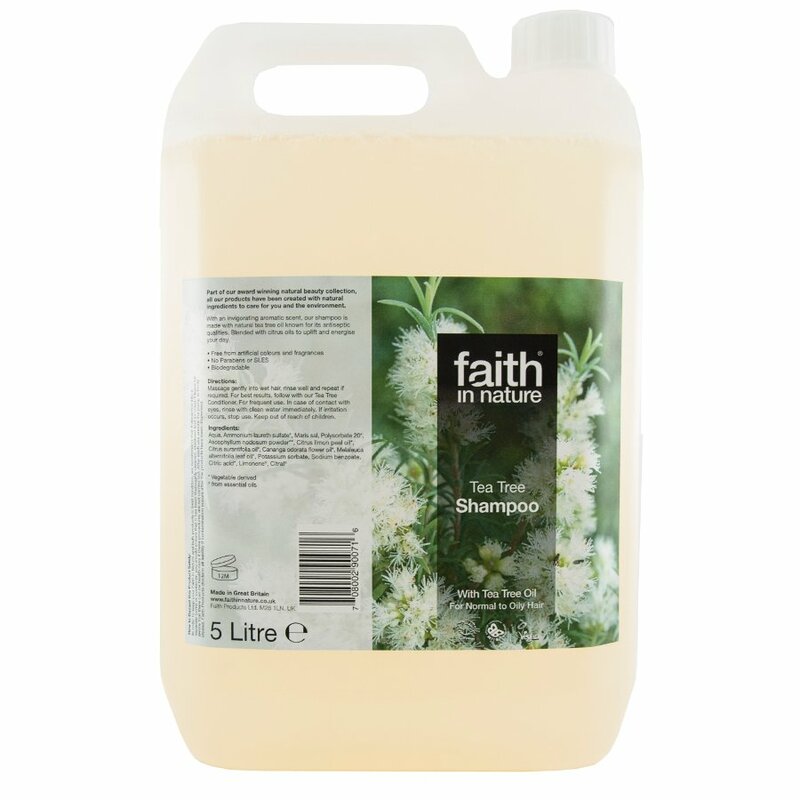 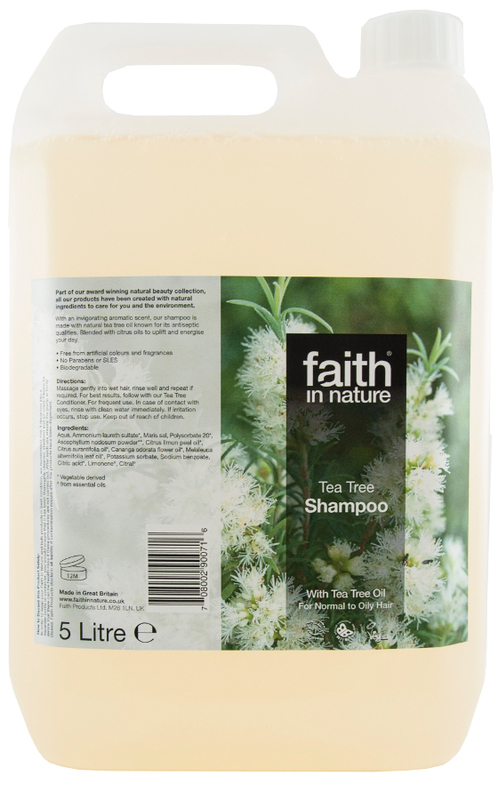 There are currently no questions to display about Faith in Nature Tea Tree Shampoo - 5L.